Extra large size bell to be used at the time of praying God. Popular ritual musical instrument of Hindu's and Buddhists. 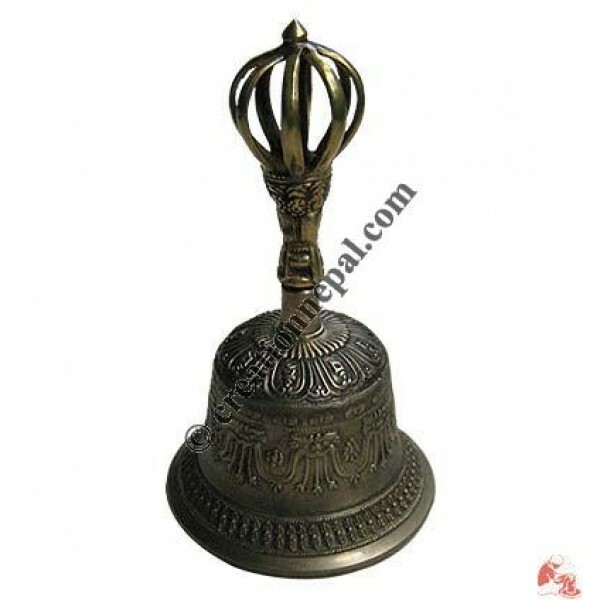 The bell represents the female aspect, stands for “prajna” (wisdom) and is used during the religious ceremonies.